Hello tech fans. 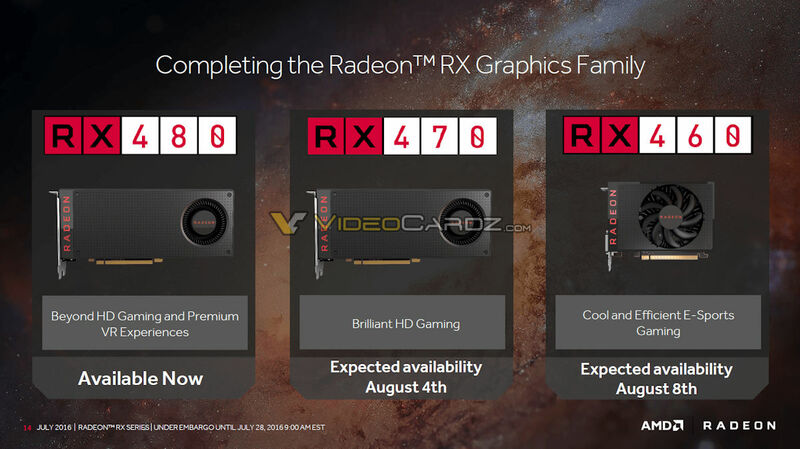 We finally have full specs of upcoming Radeon RX 470 and RX 460 graphics cards, and some performance metrics. 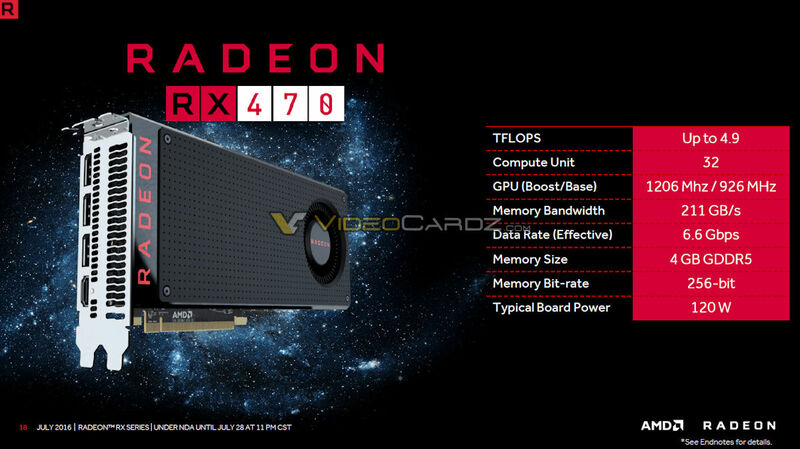 Starting with RX 470. 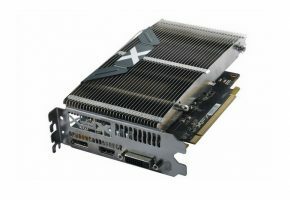 This is the second Polaris 10 board with 4 Compute Units disabled. 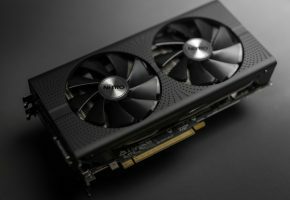 That said we have 32 Compute Units and 2048 Stream Processors in total. The GPU also has 128 texture units (TMUs) and 32 ROPs. The GPU clock speed is 926 MHz, boosting up to 1206 MHz. 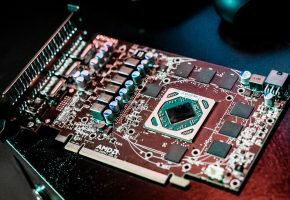 This results in a maximum compute performance of 4.9 TFLOPs. 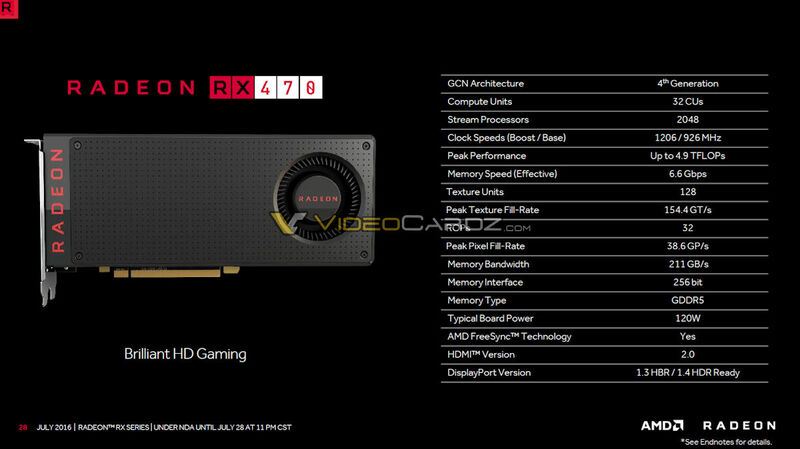 According to the slides RX 470 will be available with 4GB GDDR5 memory, but AIBs may offer 8GB variants if they want to. 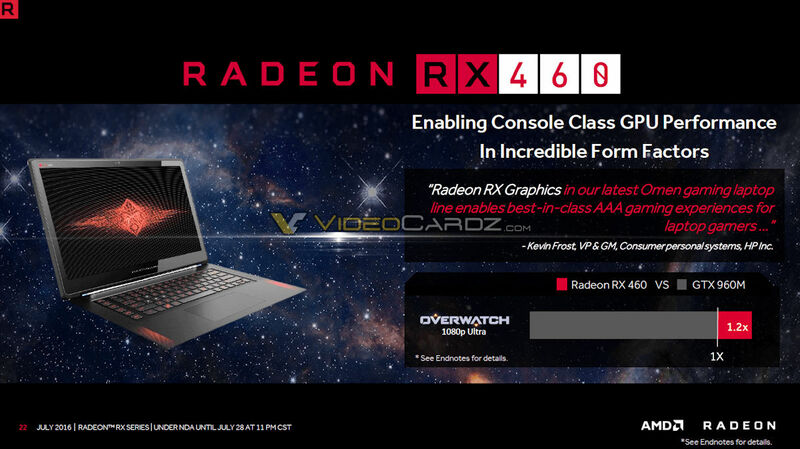 The bandwidth is 211 GB/s thanks to full 256-bit interface and 1650 MHz memory clock. 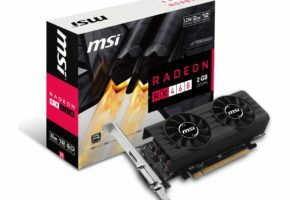 Typical board power is 120W (RX 480 has 150W), which theoretically means that single 6-pin power connector should deliver more overclocking headroom than RX 480. According to AMD, RX 470 delivers ‘brilliant HD Gaming’ experience, so I’m guessing this card is aiming at 1080p resolution. 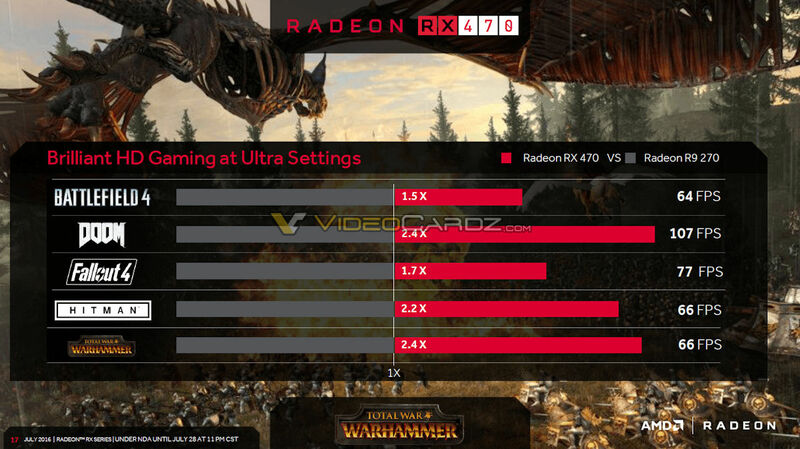 It should be 1.5 to 2.4 times faster than R7 270 in certain games according to AMD. The RX 460 is designed for e-sports gaming. 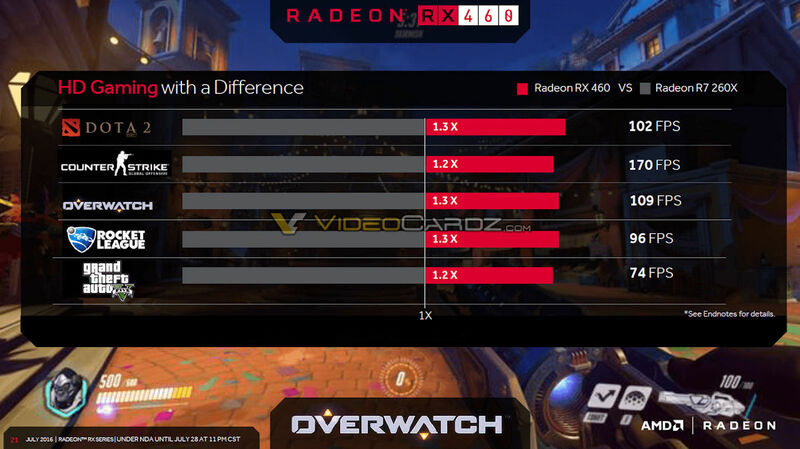 It should be 1.2 to 1.3 times faster than Radeon R7 260X in games like Dota 2, CounterStrike GO, Overwatch, Rocket League or even GTA5. 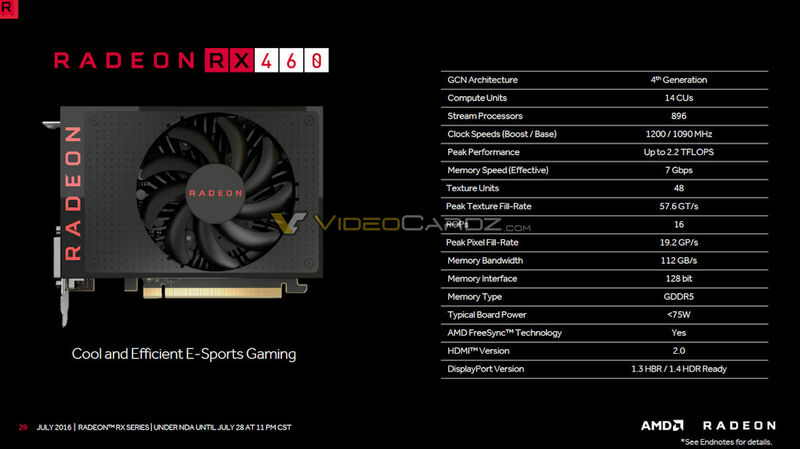 The biggest difference between RX 460 and RX 480/470 is the graphics processor. 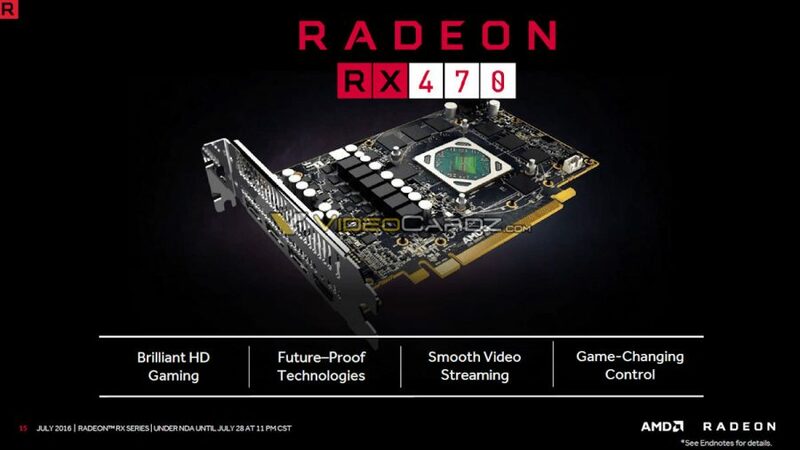 The RX 460 features Polaris 11 GPU (Baffin), which has 14 Compute Units (896 Stream Processors), 48 TMUs and 16 ROPs. 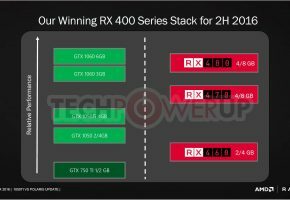 The processor is clocked at 1090/1200 MHz (base and boost respectively) with maximum compute performance of 2.2 TFLOPs. This card will be available in two variants (2GB and 4GB), but both are GDDR5. The memory bus is 128-bit, which gives us a bandwidth of 112 GB/s. 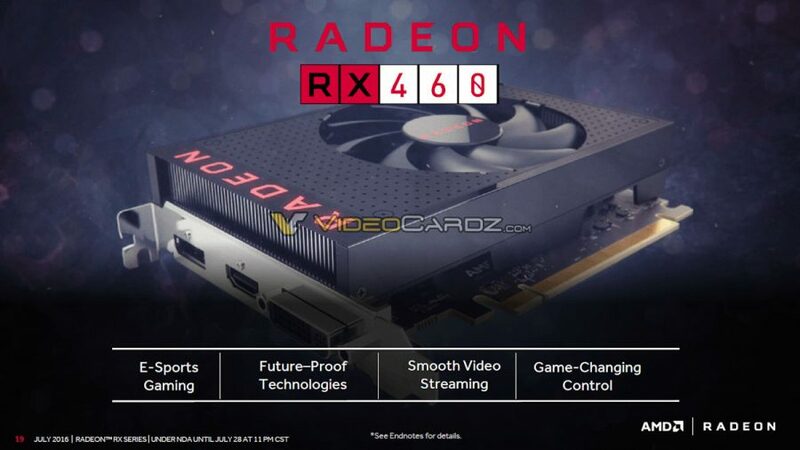 The most interesting part of RX 460 is lack of power connectors (at least on reference design). 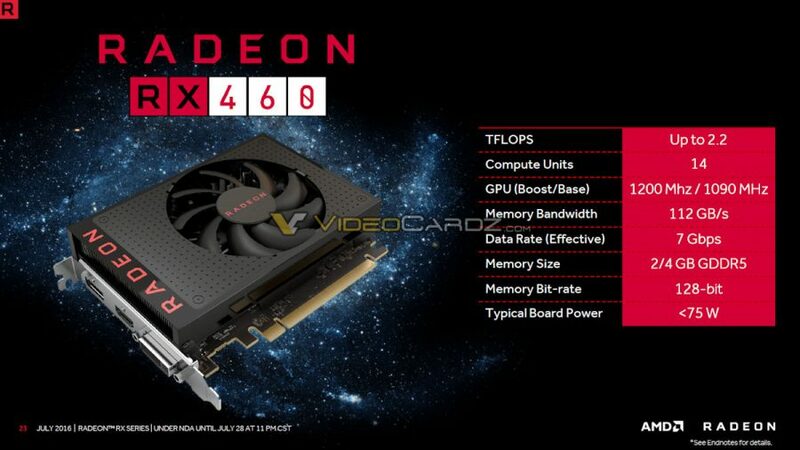 It basically means that this card will be powered only through PCI-E interface. The exact TBP is not mentioned, but it’s below 75W.